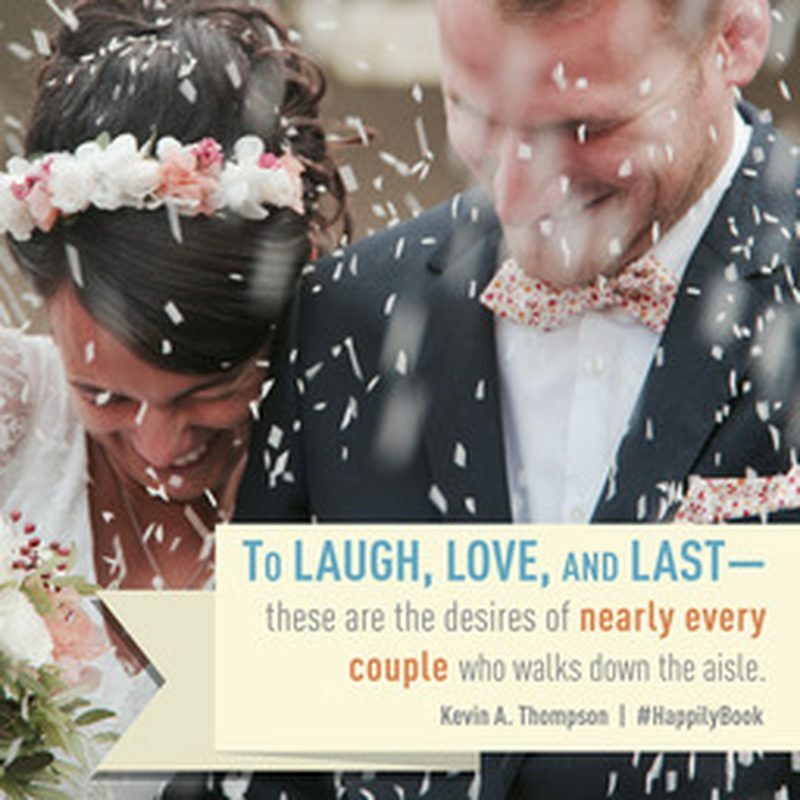 Happily By Kevin Thompson - Does the word "happily" come to mind when you think about your marriage commitment? What if both how you treated your spouse and how you were treated by your spouse was happily? This is a devotional about the "hows" of relationships. We will look at the nuts and bolts of what makes marriage lasting, fun, and characterized by love. You may be surprised at the commitment essentials to your own happily ever after. Recently I was sitting down with a friend, who told me his wife had cheated on him. The news was shocking to him, but not to me. He couldn’t fathom why she had done it. Little did he know it was as predictable as any relationship struggle could be. He had been clueless for years. Moments of struggle had come, but they seemed normal. His ignorance and apathy had been blind to the slow death. Mesmerized by career and hobbies, confusing the birth of children with the certainty of love, he couldn’t see what was right before him. Aware of every nuance of emotion in his career in sales, he never noticed his wife no longer smiled, laughed, or spoke about the future. “I can’t believe she did this,” he kept repeating. "I can’t believe she waited to do this", I kept thinking. Her heart had been dying for years. An innocent Facebook comment led to an inbox message and ended in a six-month affair. He wanted to get help; she wanted to get out. The odds of success were against them. Marriages are struggling. Divorce is contagious. Small decisions and behaviors go unseen, slowly destroying the foundation of a healthy relationship. A good marriage feels like luck—like we have struck the jackpot. The word "happy" is rooted in the concept of chance. Hap can be used in happy, but it’s also present in words like happenstance or perhaps. Being happy is so great that it feels as though it’s a stroke of good fortune. Yet happiness is not happenstance. Good marriages do not face less conflict or difficulties; they aren’t assured by great circumstances. Let’s look at why some marriages work and others do not. As husbands and wives go about their daily lives, a certain attitude should follow them wherever they go. The "whats" of a healthy marriage will be done happily. The verbs describe what a couple does in a marriage, but the adverb happily reveals the manner in which those actions should be done. Happiness was never intended to be the main focus of marriage. When it is the focus, it’s rarely experienced. Happiness is a by-product. When we pursue it, we don’t find it. Yet when a couple chooses rightly and lives wisely, happiness comes along for the ride. Why do we believe happiness is more about happenstance than our choices? What would a happy marriage look like to you?